THOMSON BROADCAST partners with CAMUSAT and wins international tender and signs protocol agreement for the deployment of a Digital Terrestrial Television (DTT) network throughout the Republic of Mali The consortium led by Thomson Broadcast and Camusat – network developer of fixed and mobile networks, has won the international tender to supply the Republic of Mali with a turnkey installation of a Digital Terrestrial Television (DTT) network. Signed on June 26th in the presence of France’s Prime Minister, Edouard Philippe and His Excellency, Prime Minister Soumeylou Boubèye Maiga of Mali, the agreement stipulates a nationwide, end to end DTT turnkey roll out. The ceremonial signing among Pascal Veillat – CEO Thomson Broadcast, Sebastian Martin – Group Chief Commercial and Business Development Officer Camusat and Boubacar Tiemoko Coulibaly – General Director SMTD took place at the Hotel de Matignon in the presence of a delegation of ministers of both French and Malian governments. The signature of the agreement brought an end to the open international tender launched back in December 2017, at a valued market share of more than 40 billion Malian francs (roughly 60 million euros) attributed to Thomson Broadcast/Camusat. 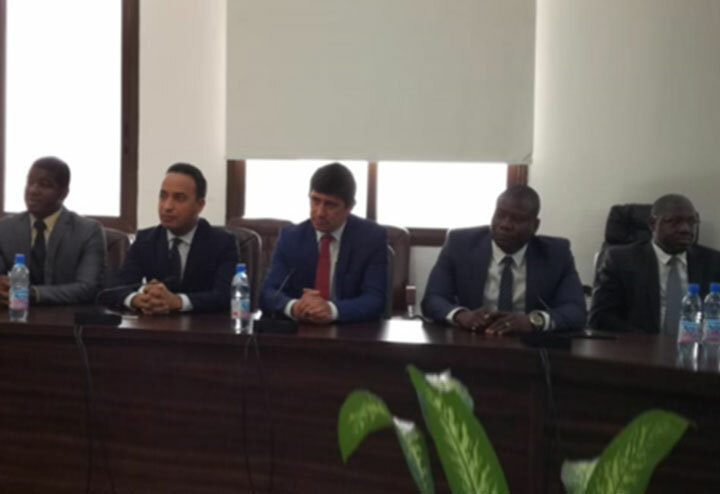 “In the presence of our partner Camusat and the representatives of the Republic of Mali and our French government, we take this signing as a symbol of our French technological strength and our expertise in the field of Terrestrial Television networks. We look forward to work on this project and with our partners at SMTD and wish to assure the Malian government of our commitment to its success and to building a long-lasting relationship for the future”, says Pascal Veillat, CEO Thomson Broadcast. The ambitious project will generate greater opportunities in ICT application delivery and multimedia services with high quality images, interference-free reception, a wider choice of TV programs and new services. About Thomson Broadcast A trusted partner to the world’s leading broadcasters, ARELIS Broadcast has pioneered many developments that have shaped the industry, such as leading innovation in solid-state technology. With more than 50,000 active ARELIS Broadcast transmission systems deployed worldwide and a global support presence, ARELIS Broadcast continues to forge technologies for the future, with initiatives such as the innovative Green Power, broadcast/mobile convergence programs and ATSC 1.0-3.0 product line based on efficient power saving solutions. About CAMUSAT Group Camusat Group is one of the market leaders in the implementation of telecom infrastructures and one of the most experienced network developers of fixed and mobile networks. Our know-how is to support the telecom actors to efficiently build and optimize their networks development by integrating the very latest telecom technologies through our operational company Camusat on one hand, and, on the other hand, to offer them telecom infrastructures outsourcing solutions thanks to our dedicated investment vehicle, Aktivco.